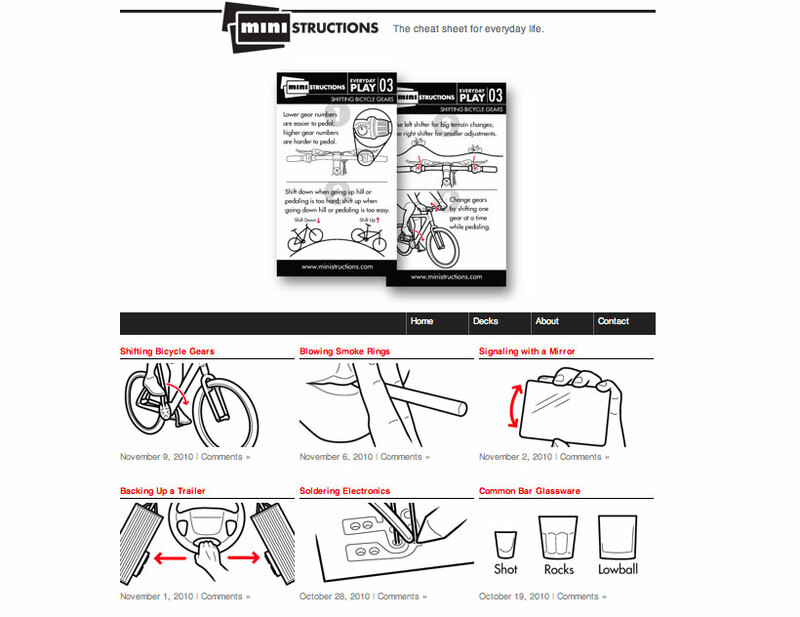 Ministructions are a series of illustrated instructional guides in a compact, business card size. These handy references or cheat sheets that come in tailored decks on various subjects. The WordPress site allows for the display of new cards, the promotion of decks, and a centralized method for product sales.